The original game had a cast and story that was widely praised as one of the best in the series, and this PlayStation®Vita version offers players a chance to relive that adventure on the go, and with brand-new content! Disgaea 4: A Promise Revisited comes packed with in-depth gameplay, everlasting value, and the great sense of humor you’ve come to love. Games like Disgaea 4 are what the Vita was built for. Although the console has recently been rebranded as the home of indie gaming on-the-go, there are dozens of stellar Japanese imports to be had, A Promise Revisited being one of them.With that said, this isn’t a game for everyone, especially those who favour linearity and plots that take themselves a little more seriously. Although it may not be an ideal entry point to the series, returning fans and those who missed out on Disgaea 4 will find themselves right at home. 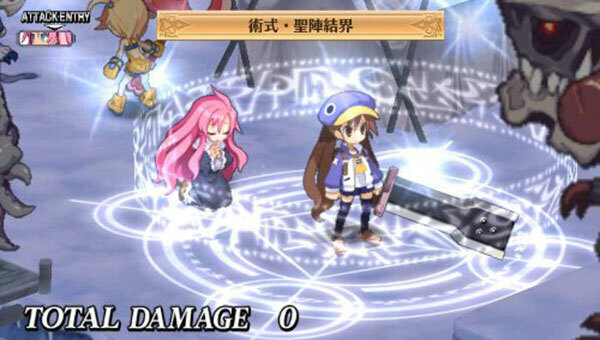 Disgaea 4 is a must-have turn-based strategy RPG. 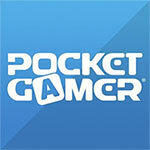 This Vita version is highly recommended for its portability and extra content. Playing politics in the Netherworld is a dirty and violent game, and genre fans will enjoy every minute of it. Addictive, deep, and just a little bit crazy, Disgaea 4: A Promise Revisited is the perfect companion for someone looking for some on-the-move RPG greatness. Few people are ever going to see it all — a fact made truer by the often vague introduction of features — but what they do see is going to knock them over. Either that, or give them a very real addiction to sardines. 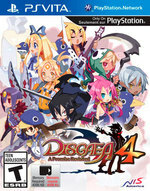 Disgaea 4: A Promise Revisited crams one of the best Disgaea games ever into a tiny package. The entire PlayStation 3 game comes along for the ride, with all of the levels, all of the graphics, and all of the content. There's some framerate issues here and there, but nothing that completely ruins the experience. A must-have for Disgaea fans who own a Vita. 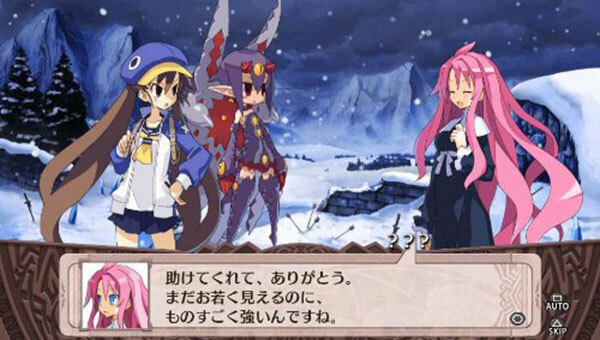 Disgaea 4: A Promise Revisited is a strategy RPG that refuses to be serious. The characters are great, the gameplay is smart and the story is both parts touching and hilarious. While some features can feel worthless and others nonexistent, it doesn’t feel boring or unfair. If the rest of the series is like this $39.99 package, I look forward to picking up when I have the time. I still hate sardines, though. Dood. With enough combat goodness to satisfy even the most truculent warmongers, a variable Marianas Trench of depth in its customization and laughs aplenty, A Promise Rewritten isn’t only the Vitas latest proof-of-worth, it’s also its strongest. In the slew of remasters and re-releases being released lately, Disgaea 4: A Promise Revisited does it right. This isn’t just a simple port, it is a great new way to enjoy a game on a new platform for gamers that may have missed it on PS3, and it is full of new fun to be had for those that have already played it. All the doubts I had about going back to an older Disgaea game was wiped away quickly as I delved deeper to experience new elements of this familiar but new title. This is most certainly the definitive version of Disgaea 4 and a worthy addition to any JRPG fan’s collection. An ultimate edition of the original PS3 version. The added free goodies rewards fans and those who skipped it on the PS3. Disgaea and RPG fans will be in love, but the extra trinkets won't be enough to win over non-fans of the long running series. Disgaea 4: A Promise Revisited conserva todo lo bueno que le hizo ganar el título de ser uno de los mejores Disgaea y añade elementos que le convierten en un juego indispensable dentro del género de los RPG tácticos para la consola PlayStation Vita. Algunos de estos añadidos son los DLC's que aparecieron en la versión de PlayStation 3 y que incluyen más episodios y personajes con los que poder jugar. 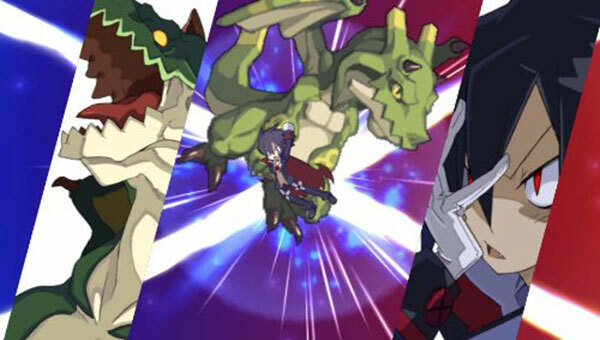 Si Disgaea 3 fue al principio de la vida de PS Vita un título recomendado para los fans del género, esta versión de Disgaea 4 se presenta como más recomendable todavía. La versión Definitiva, Expanded o como quiera llamarse a este A Promise Revisited coge la fórmula ya estupenda del original y le mete aún más cosas, aún más contenido, elementos y añadidos para aumentar la duración. Nippon Ichi nos ofrece una versión potenciada y ampliada del notable Tactical JRPG que ya disfrutamos hace bastante tiempo en PS3. Disgaea 4: A Promise Revisited es una aventura muy completa y cargada de humor en la que podemos sumergirnos durante semanas enteras, sin exagerar. Es uno de los juegos de su género más completos, largos y absorbentes de cuantos existen en esta consola. Disgaea 4: A Promise Revisited es una excusa perfecta para recuperar un gran juego de una saga que parecía haber tocado techo en la primera entrega y desde ahí ha continuado refinando su fórmula juego tras juego. Los cambios en el gameplay los apreciarán sobre todo gente con experiencia; los episodios nuevos ofrecen valor a distintos niveles para el novato y el principante. La cuestión más espinosa está en que la mayoría de interesados en este título seguramente ya lo han jugado hace tres años, y la pregunta habitual en estos casos es: ¿merece la pena una segunda compra? Las novedades, muchas exclusivas de esta versión, lo hacen todavía más redondo y entretenido, pero lo que es el grueso -la historia y la mayoría de mapas- son en esencia los mismos más los ajustes jugables. Aber für einen Neueinsteiger ist das alles zu viel. Zwar gibt sich Disgaea 4 wirklich Mühe, euch zu Beginn in sämtliche Elemente einzuführen. Jedoch passiert dies in einer dermaßen schnellen Abfolge, dass ihr das Meiste davon während der nächsten Übung schon wieder vergessen habt. Entweder ihr seid mit der Serie vertraut oder könnt ohne Meckern erst einmal fünf Stunden damit verbringen, alles im Spiel zu erlernen. Die strategische Tiefe aller sorgsam miteinander verbundenen Möglichkeiten ist mit subtilen Änderungen in tieferen Spielebenen auf Vita noch größer als seinerzeit auf PS3. Und mit allen integrierten Download-Inhalten geht das Spielvergnügen in die hunderte Stunden. 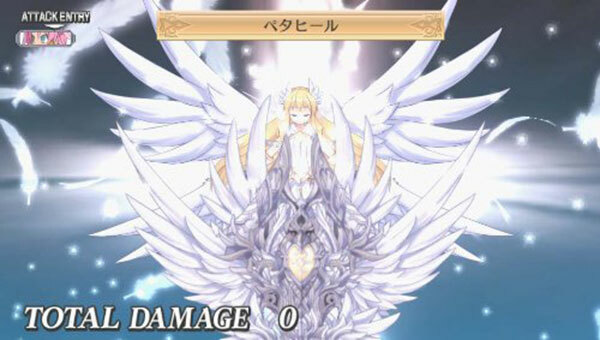 Wer auch nur ansatzweise etwas mit Rundengefechten wie in Fire Emblem oder Final Fantasy Tactics anfangen kann, könnte mit Disgaea 4 auf Vita sein neues Highlight für unterwegs erleben. Aber Vorsicht: Verpasste Haltestellen müssen einkalkuliert werden. 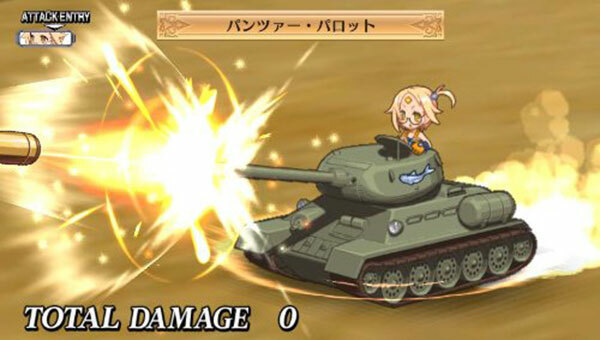 Tous les portages ne sont pas aussi honnêtes que celui de Disgaea 4 sur PS Vita. 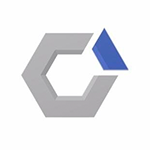 Avec son contenu supplémentaire, A Promise Revisited réussit son office en nous proposant une expérience particulièrement complète. Bien que son système de combat ne le rend sans doute pas totalement accessible aux néophytes du genre, quelques nouveaux venus un peu coriaces pourront apprécier un titre à l'humour décalé et à l'extraordinaire durée de vie. Ho provato Disgaea 4 per una ventina di ore grazie a un codice ricevuto dal distributore. In queste venti ore mi sono più volte chiesto chi me lo facesse fare di tornare per l'ennesima volta sulle grindose mappe isometriche di Nippon Ichi. A oggi non ho trovato risposte plausibili, ma mi sono comunque divertito abbondantemente. Non chiedetemi perché, però. Qualora vi foste persi la versione PS3 del gioco, tuttavia, non potete assolutamente lasciarvi sfuggire questo concentrato di divertimento e giocabilità, a dir poco perfetto per la piccola (e spesso ingiustamente bistrattata) PlayStation Vita.